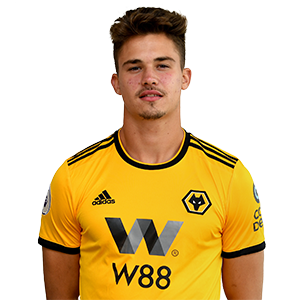 Belgium international Leander Dendoncker joined Wolves from Anderlecht on transfer deadline day. The midfielder, who can also be used in defence, joined on an initial season-long loan, which will become a permanent move next summer. The move to Molineux came after the 23-year-old was part of the Belgium squad which finished third at the World Cup during the summer. Dendoncker is a product of the Anderlecht youth system and went on to make 190 senior appearances for the club. After making his debut in 2013, he played on the biggest stage in the Champions League and Europa League with the Belgian side. Having previously won two Belgian Super Cups, Dendoncker and Anderlecht claimed the Belgian First Division title in 2016/17. Last season he was again a regular, playing 42 times and scoring once in a 3-1 victory over Charleroi in April. On the international stage, the midfielder made his Belgium debut in 2015 and played against England in the group stages of this summer’s World Cup – one of six caps to date. After making his Wolves debut against Chelsea, Dendoncker followed it up with his first goal at Everton in February 2019.